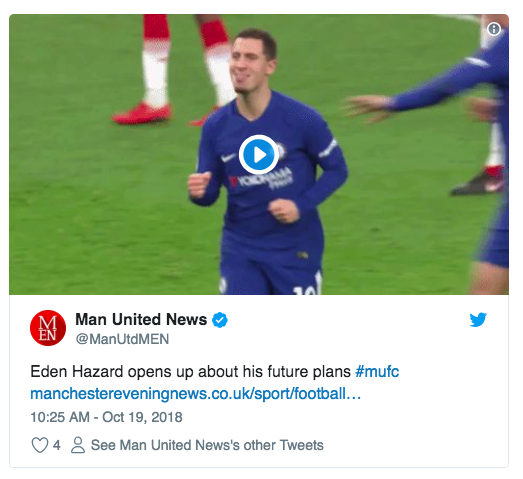 Is Eden Hazard leaving Chelsea for Manchester United? Surely not. But the Manchester Evening News implies that United is on the brilliant Belgian’s radar. 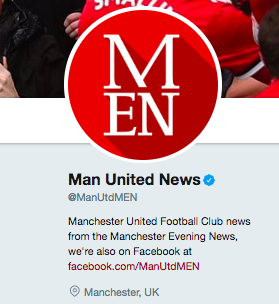 The Twitter feed for the Manchester Evening News dedicated to Manchester United news – “Manchester United Football Club news from the Manchester Evening News” – tweets a photo of Hazard and a link to a story on the paper’s site. 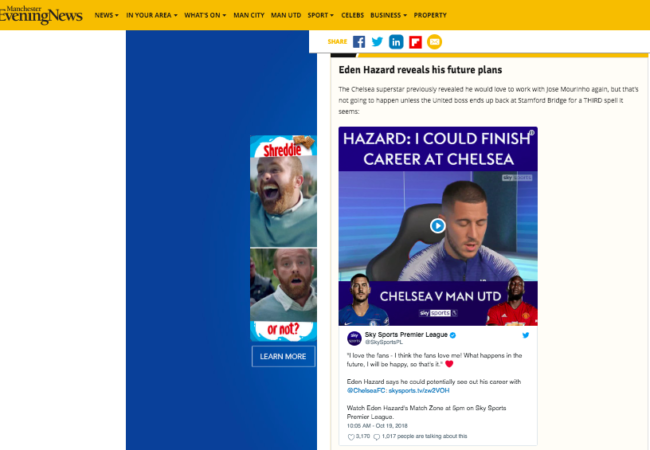 In anyone still can’t understand the story that Hazard is looking at his “future plans” which seem to included a move to Manchester United, the paper includes the tag ‘#mufc”. Total tosh from the trusty MEN.